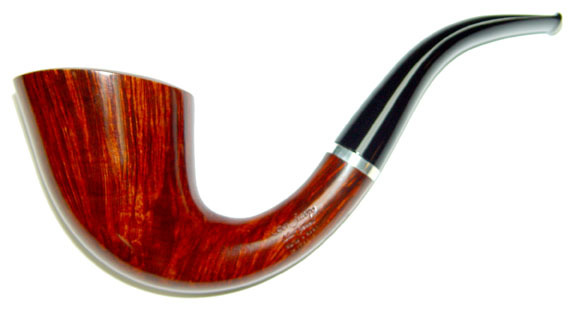 A beautiful pipe with flowing lines which are unbroken by its flush mounted sterling silver band. This Emerald grade is Maxima size yet light thanks to its perfect balance. Beautiful straight grain rings the bowl throughout its 360º. Another pipe where our photographic skills are lacking - but not the pipe.